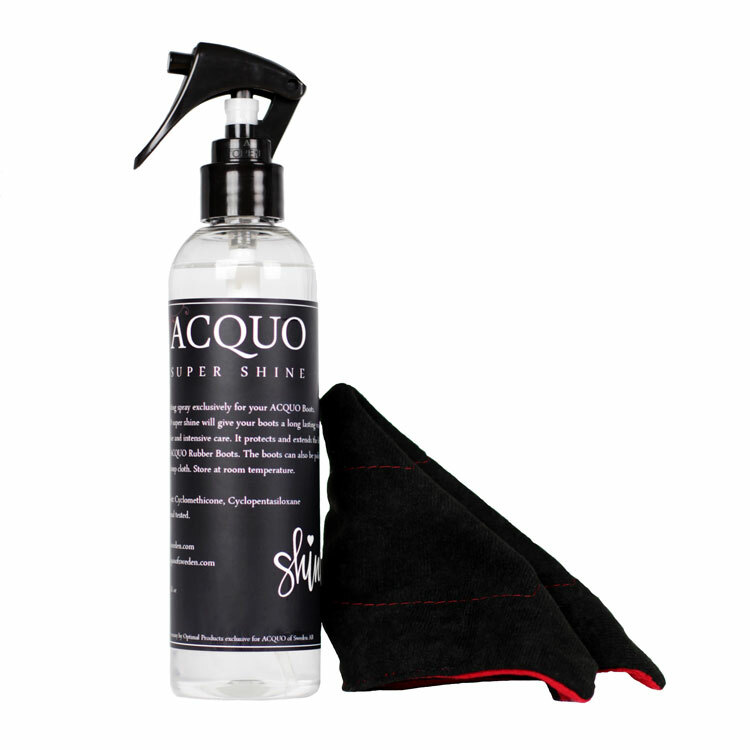 The combination of our spray and our very special developed cloth is simply unbeatable together. Once you try this cloth, you will never need to buy another. Spread the spray with one side and then polish dry with the other side. Our super cloths are hand sewn and quilted. 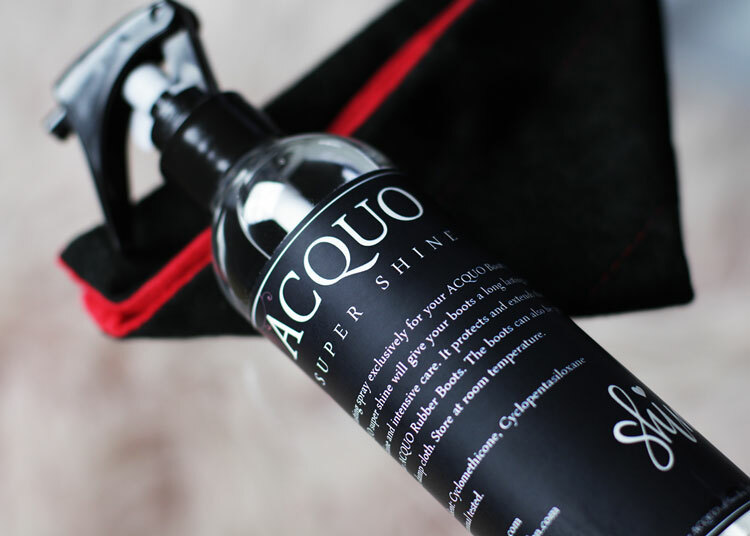 Only with this cloth you have a streak-free perfect shine on your ACQUO Boots. Cloth size: 22×22 cm. 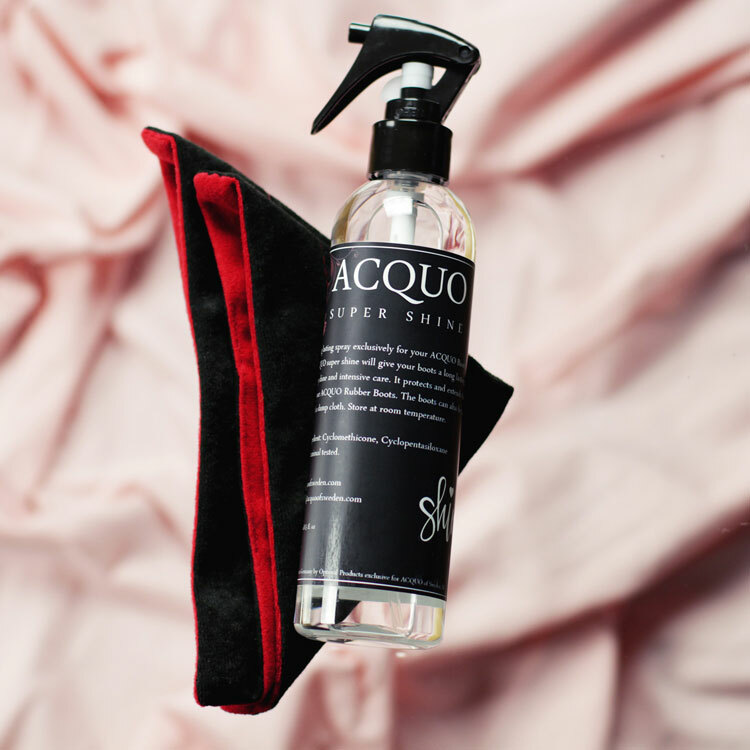 It is suitable for washing machine.